Cover Reveal: Chad Lutzke’s ‘Night As a Catalyst’! Chad Lutzke’s new collection, Night As a Catalyst will be available on May 1st in both ebook and paperback form via Amazon exclusively. And given the talent Chad has displayed, we’re stoked to see the book released. So stoked in fact that we’ve been chomping at the bit to share the official cover reveal. 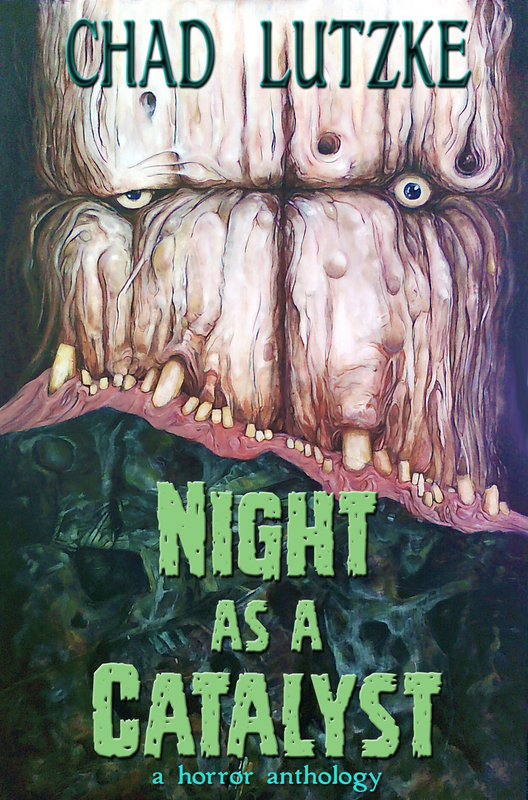 HNR mainstay James Keen himself painted this beautiful image, and if the work beyond the attention grabbing cover comes anywhere near rivaling the image itself (we fully expect it to), horror fans are in for a very serious treat. Each story will include author notes, and Chad will be launching a blog tour to get the masses interested. Something that – again – you’re going to want to pay attention to! Get a look at the full size image below, and mark your calenders: May 1st is just around the corner! 3 Comments on Cover Reveal: Chad Lutzke’s ‘Night As a Catalyst’! that is one ugly looking dude. Good image. You’re too kind, Matt. Thank you!